The Frozen Yogurt Industry is quickly growing with more demand nationwide than any other time in its history. Customers are looking for variety with flavors one would never believe possible. Frozen Yogurt Shop owners are looking for ways to keep up with the demand & hunger for variety. With some stores accumulating lines as long as the eye can see, order processing becomes more and more important than ever. There is nothing worse then choosing your favorite variety of frozen yogurt and topping just to watch it melt as one stands in line waiting to pay. Frozen Yogurt POS industry has also evolved allowing for cashiers to process customer orders within seconds. With our POS software, transactions are processed quickly and accurately. 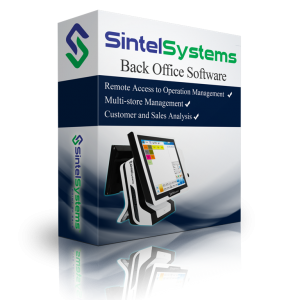 This top-of-the-line software combines simple user interface with powerful management tools. Featuring a simple, intuitive back office which does not require hours of labor intensive data entry, entering your menu items can be done in minutes. This in turn makes employee training fast and easy. How to select the BEST Yogurt Shop POS System? 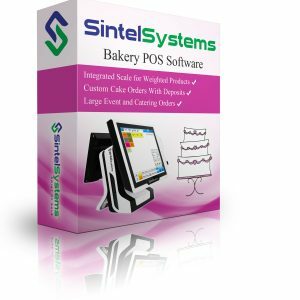 Sintel Systems provides three different complete Yogurt Shop POS systems. These systems include everything you need: Pre-configured Hardware, Pre-installed Software, & Services. Packages are designed based on Ease of Use, Efficiency, Long Term Dependability and Appearance. 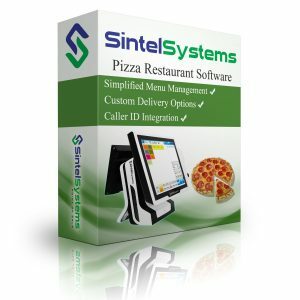 Will I be able to use my POS System right after receiving it? Yes, all of our POS Packages are ready to use out of the box. Can I use my POS system’s sales report in Quickbooks? Yes, by exporting your POS data to a MS Excel file, you can use Quickbooks for all your accounting needs. Can I use my own credit card processing service company? Of course you can. To use your own Credit Card processing service company you need to purchase a licensed copy of PC-Charge and contact PC-Charge Company to let them know you need assistance setting up PC-Charge with your account using Windows XP Pro (Make sure you have your VAR Sheet with you and are using Terminal 1). What’s included in my POS package? All complete packages include all-in-one touch screen PC with POS Software pre-installed, receipt printer, magnetic card reader, customer display, cash drawer and integrated scale. How does the Point Of Sale system support loyalty program? By using our loyalty program you can reward your loyal customers. The internal point system does not require transaction fees and encourages customer to return time and time again. Since loyalty systems require customer information, you can use the contact information to send specials and coupons. Customers can redeem points towards future purchases based on your program details. How long does it take to learn working with the pos software? Our POS software is very easy to learn and it takes 10 minutes for a new employee to learn how to ring up a new customer. What are the hidden fees in buying Frozen Yogurt POS package? There are NO hidden fees after you buy our POS package. Can I use Gift Cards on my POS System? The Gift Card system is an internal module in our POS software which allows business owners to sell and control gift cards locally without any transaction fees. All you need are the Gift Cards which may be purchased with your system. We offer full color custom printing on both sides with magnetic coding.